C. S. Lewis was one of the most effective Christian evangelists of the 20th Century, even when we include preachers like Billy Graham. Without question, he was the most effective evangelist who used literature as the medium for his message. Seeking answers for why this is so has given rise to something of a cottage industry among of Christians from different traditions—Holly Ordway at Houston Baptist University, Jerry Root at Wheaton College, Michael Ward at Oxford University, Avery Cardinal Dulles at Fordham University. [J]ust as God’s very good creation is God’s very good creation in and of itself and without need of so-called “religious” justification, so we live in an intrinsically good world and we create creatively and imaginatively as something very good in and of itself without need of pragmatic or didactic justification because we are made in the image and likeness of a creative and imaginative Creator. Christian doctors, dentists and coaches shouldn’t neglect or ignore the importance of good medicine, dentistry, or coaching just in order to do evangelism and so on. Such would be a serious misuse, even a prostitution, of their God-given crafts and calling. They should be excellent first and foremost as doctors, dentists, and coaches; the gospel will follow. 1. First, beauty (along with truth and goodness) in art and aesthetics is objective. 2. Second, art and aesthetics can be signposts pointing to God and true joy. [Lewis pointed out that] experiences … of nature, art, and literature may evoke within … us an experience of intense longing and desire for joy. The Germans, Lewis says, called this longing and desire Sehnsucht. 3. Third, art and aesthetics must be incarnational. For Lewis … the incarnation meant the transformation of human nature and all nature or creation. Both now shimmer with life and glory and this must be depicted artistically. Thus, according to Lewis, all of art and aesthetics must be informed by this “Grand Miracle” of the incarnation. [Lewis] saw divinely ordained, objective beauty embedded in ordinary things of everyday life. Life was sacred, sacramental, holy. The challenge, for him and us, is to represent this artistically and aesthetically. And almost every page of Lewis’s art of writing does exactly that. So should ours. 4. Fourth, art and aesthetics are not just for pragmatic and didactic purposes, Christian or otherwise. Lewis values literature and the arts apart from their utilitarian purpose. Artistic and aesthetic sensibilities are lost – the powerful imaginative dimensions – if worldview analysis becomes the primary way of approaching art. In other words, we can become myopic, narrow-minded, bigoted, prejudiced, and intolerant. Food and cooking, for example, is more than mere nutrition, and there is more to art and aesthetics than worldview underpinnings. We need flavor! 5. Fifth, art and aesthetics can convey Christian themes, but the Christianity within a work of art is best if it is “latent” or indirect. This was Lewis’s strategy in the creation of his fairy stories, Narnia included. The Christianity within it merely “bubbled up.” He did not, I repeat, did not start by asking himself how he could present the Christian gospel in a way children and others could understand. He did not produce a list of Christian teachings and then developed the idea of presenting them through fairy tales. NO. Rather, he came up with the artistic idea and the Christianity which was in him came through … naturally. 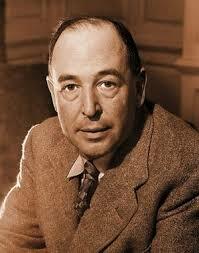 Dr. David K. Naugle’s article, “With their Christianity Latent: C. S. Lewis on the Arts,” is available here. He is chair and professor of philosophy at Dallas Baptist University. Dr. Naugle is the author of Worldview: The History of a Concept, which was selected by Christianity Today as the 2003 book of the year in theology and ethics. He is also the author of Reordered Love, Reordered Lives: Learning the Deep Meaning of Happiness and Philosophy: A Student’s Guide. David Nugle’s website is a treasure-trove of valuable resources. A great place to start browsing is his “Academic Papers” page, which can be found here.